Listed by the New York Times as one of the bestselling cookbook authors of all time, James Beard Cookbook Hall of Fame-inductee Mollie Katzen shares her latest inspirational cookbook, The heart of the plate: Vegetarian Recipes for a New Generation, a complete reinvention of the vegetarian repertoire featuring light, sharp, simple, and modular recipes, vibrant illustrations and photographs by Mollie, and of course her inimitable helpful, clear, and funny voice. From the woman who brought you the iconic Moosewood Cookbook comes a new cookbook for a new generation. Katzen has just released The Heart of the Plate, serving up 250 recipes for hungry vegetarians everywhere. Hailed by The New York Times as “one of the best-selling cookbook authors of all time,” Katzen is widely credited with having brought vegetarian cuisine into the mainstream. Come hear this James Beard Hall of Famer as she waxes epicurean on culinary delights from green matzoh ball soup to mushroom popover pie. With The Moosewood Cookbook, Mollie Katzen changed the way a generation cooked and brought vegetarian cuisine into the mainstream. In The Heart of the Plate, the James Beard Cookbook Hall of Fame inductee reinvents the vegetarian repertoire with a collection of 250 healthful and unfussy dishes. Whether it’s a salad of kale and angel hair pasta with orange chili oil or a seasonal autumn lasagna, these dishes are celebrations of vegetables. They feature layered dishes that juxtapose colors and textures: orange rice with black beans, or buttermilk corn cakes on a Peruvian potato stew. Burgers and savory pancakes — from eggplant Parmesan burgers to zucchini ricotta cloud cakes — make weeknight dinners fresh and exciting. The Heart of the Plate is illustrated with photographs and original watercolors by Katzen herself. Katzen, with over 6 million books in print, is one of the best-selling cookbook authors of all time. In conversation with Sally Swift, managing producer of The Splendid Table. Mollie Katzen is currently considered a "single author." If one or more works are by a distinct, homonymous authors, go ahead and split the author. 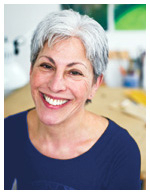 Mollie Katzen is composed of 5 names. You can examine and separate out names.